Teton Village sits at the base of the ski mountain, and most of the resorts (with the exception of Amangani) are here as well. 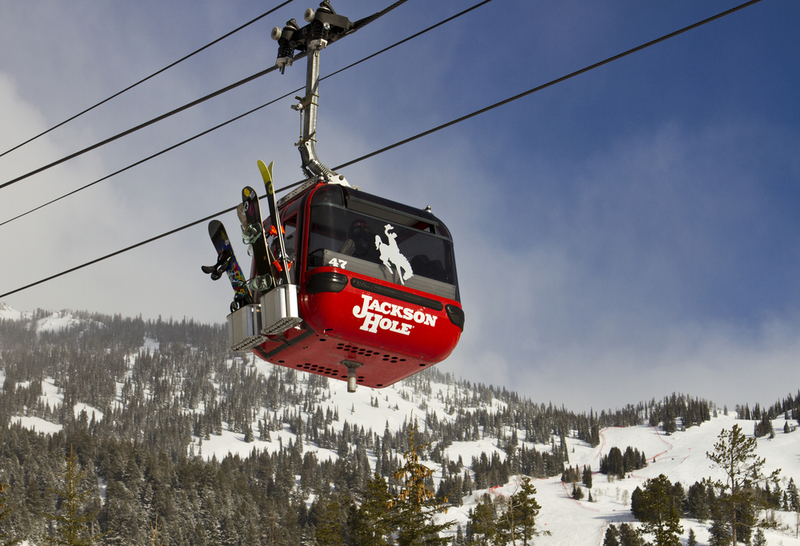 The town of Jackson, however, is a 20-minute drive from the mountain base. 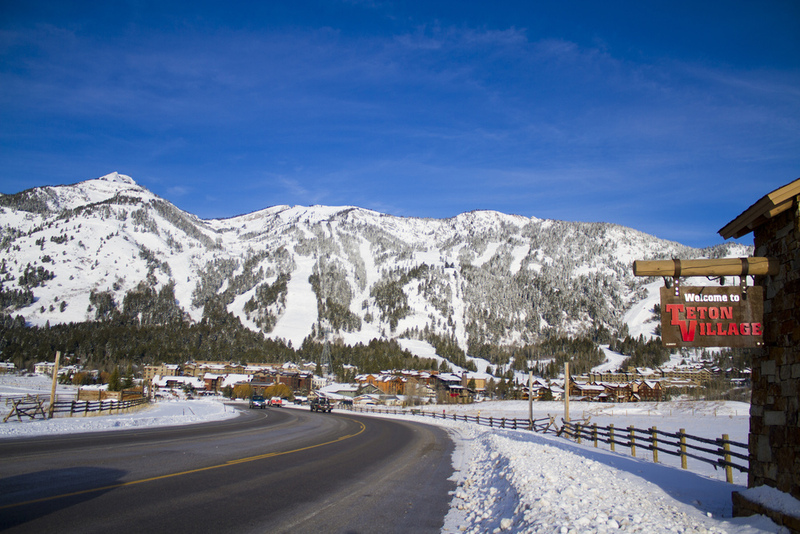 While Teton Village has restaurants and shops, those who want the town-vibe of an Aspen or Vail will need to take a taxi or rent a car to explore more of the area. Okay, fair enough that any food tastes better after a day of hard skiing, but in Jackson, it’s legit, not just a byproduct of exhaustion. You could eat at a different restaurant every night and never run out of options (plus, find some you missed and need to visit on next trip). Hit Teton Thai early, both in your trip and in the night. They don’t take reservations, and it’s tiny and casual, but serves the best inexpensive Thai food that even New Yorkers will miss when they get home. In town, Cafe Genevieve is a great choice for a cozy lunch, and it’s right next to Persephone Bakery if you want to pick up some yummies for later. Bin22 has a wine store in the front, a restaurant in the back (is that like a restaurant mullet?) , and the Local serves up regional game and lays a good foundation for late-night beers and line-dancing at Million Dollar Cowboy Bar next door. 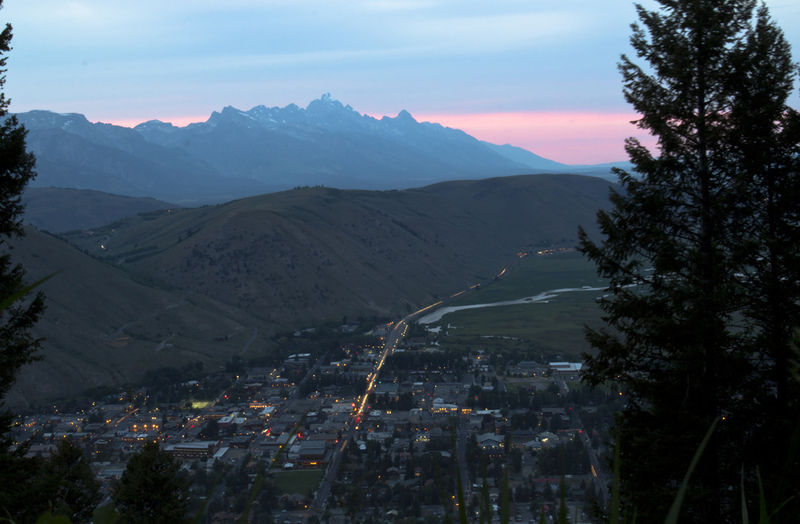 Book a sitter that night (Jackson Hole Babysitting, tried and approved by my kids) since the littles aren’t welcome here. On mountain, I ate at the Four Seasons’ Handle Bar so many times that the staff assumed we were guests of the hotel (if only). We also loved the fondue at the Alpenhof and pizzas at the Osteria in the Hotel Terra. Skip Couloir, the schmancy spot at the top of the gondola (prices too high, atmosphere too low) but definitely grab a waffle at Corbet’s Cabin. And always apres at the Mangy Moose. 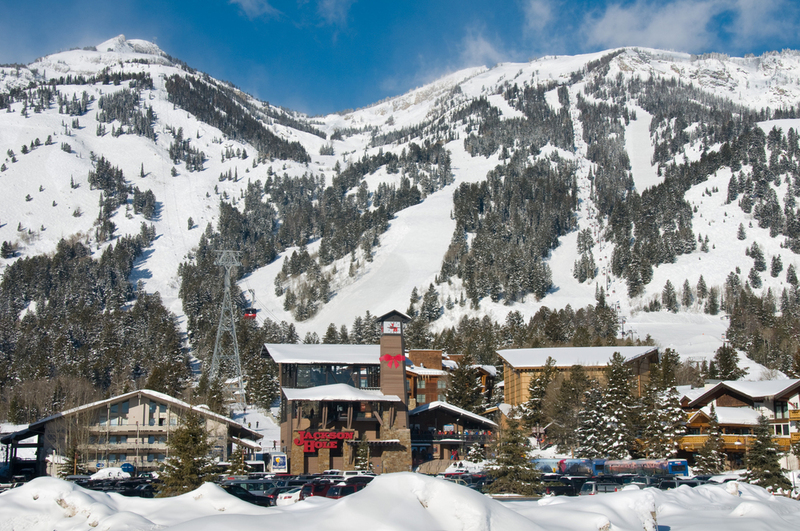 Skiers and boarders in search of a challenge rave about Jackson Hole’s epic terrain: 50% of trails are expert, plus, there’s lots of back-country access, bowls and the famous (and heart-stopping) Corbet’s Couloir. If you’re expecting a mountain with loads of blue cruisers, though, you may be disappointed. For those whose skills are a bit dusty, consider starting you time with a lesson or a guide who can show you around the mountain and help you find your niche. Tip: the tram goes down as well as up, so if you make it to the top and realize you’re out of your league, feel no shame heading back down the same way you came up. I’m not much of a shopper at home, but Jackson brought out my inner retail monster. In Teton Village, Wool and Whiskey has the hipster-meets-lumberjack vibe that would be equally at home in Brooklyn, with leather-bound flasks, marled-wool sweaters and rugged outerwear for the manly man—and obviously, a full bar of whiskey and bourbon. In town, I loved Made, where locally-crafted and locally-inspired goods range from home decor to stationery to accessories. Just across the way is Valley Bookstore, a perfect place to pick up a good read for a stormy day while the kids enjoy a great children’s section. (PS Cowboy Coffee is at the end of the lane should caffeinating be required.) Walk across town square to hit Beaver Creek Hats & Leathers for classic cowboy boots and hats and Yippy-I-O for a fantastically old school candy shop. There’s lots to do beyond the mountain, even in winter. But many of the wildlife activities book up in advance. I was dying to do dog sledding with the kids, but it was booked for the season well before I inquired. Sleigh rides through the Elk Reserve are easy, but just about everything else requires a little planning ahead. It’s tempting to look for a bargain hotel when planning a ski trip, given the cost of lift tickets and ski school. I jammed my family into a one-room set-up at the affordable Snake River Lodge, which isn’t stylish but does have a convenient location right next to the Four Seasons. Seven days, though, was too long to be sharing such a small space with such a large amount of clothing (especially given that I caught strep throat two days into the trip). Next time, I’d stay at the Hotel Terra, which has condo-style suites with fully-equipped kitchens, organic linens and furnishings, and an awesome pizzeria and cafe downstairs. For a splurge, the Four Seasons is tough to top and, while pricey, really delivers on service. The big surprise, though, was Amangani, which I’d (incorrectly) warned people was not good with kids. Turns out that every suite in this gorgeous 40-room hotel sleeps a family of four, there’s a game room and a kids’ menu, and half of the guests staying this past week were families. Although the hotel is a 20-minute drive from the mountain, they have their own ski concierge on mountain where you can leave equipment, and there’s even a private lounge if you just want to chill Aman-style on the mountain.